From what I can remember, I have been multi-tasking and working on several things at the same time since childhood. Assignments, work and my approach towards time management kept changing, but the multi-tasker in me is still the same. I just cannot stay still in one place, without doing something new. I love working on multiple projects, discovering something to learn and stepping into new roles everyday. Thanks to my super busy schedule, a lot of times, I end up editing, proof reading posts and working on social media assignments while traveling. That's the only time (thanks to our massive traffic jams), apart from burning the midnight lamp, where I can sit back and work on editing. While traveling, I always prefer working on a tablet (carrying a laptop is a big no-no on event / recording hopping days). 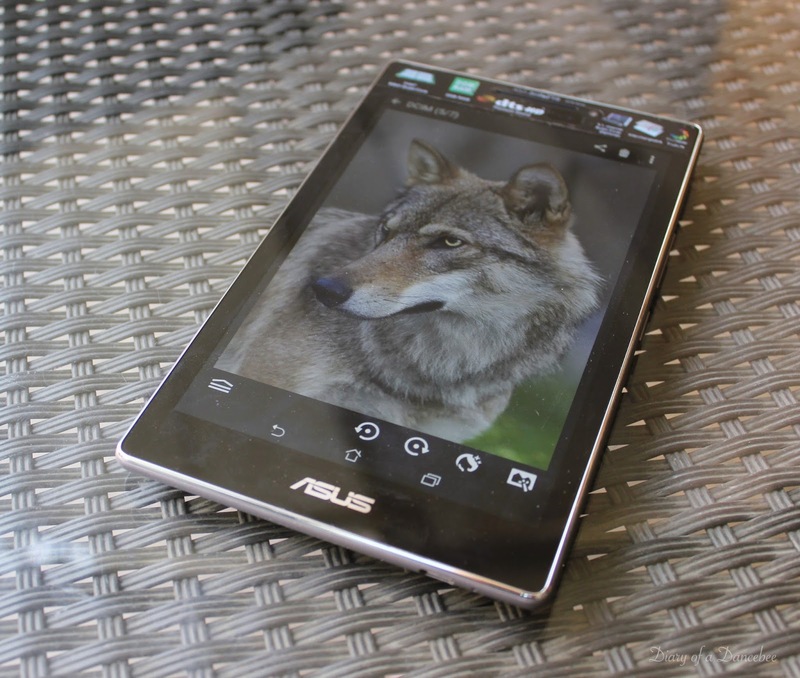 And that's where the Asus December 2015 launch - Zen Pad 7.0 - comes to the rescue. 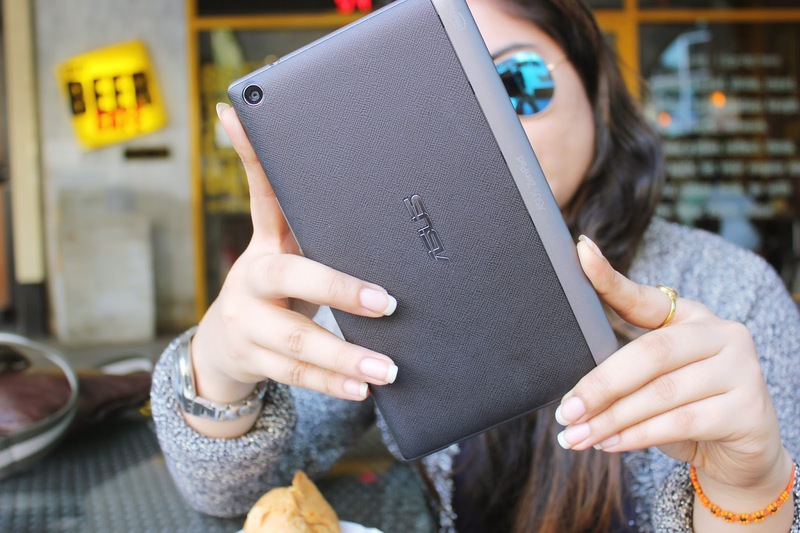 The Asus ZenPad 7.0 is a good looking gadget, which is packed with some impressive features. It has a 7 inch display and we absolutely love the chrome lining around the screen area, which gives it a classy and sleek look. The one we reviewed came with two covers - the regular plastic cover and a gorgeous audio cover, which is definitely one of the biggest highlights of this gadget. But that's not all, there is much more to this stunning ZenPad, then what meets the eye. 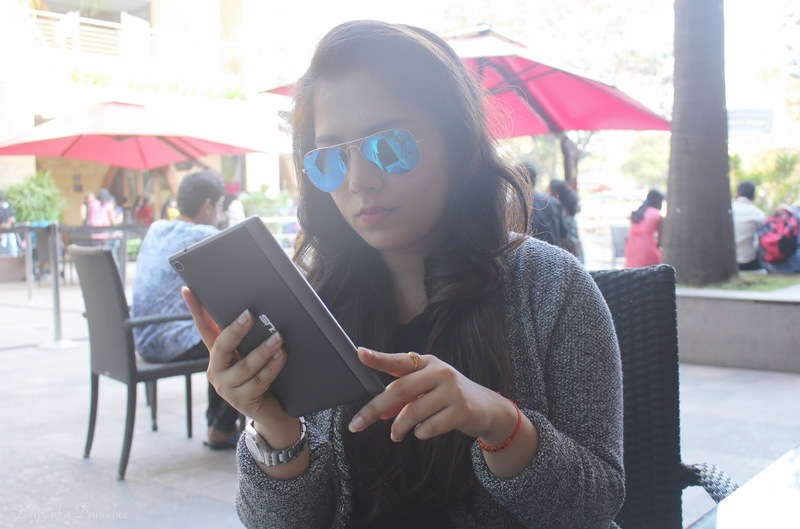 This gadget comes as a huge relief to fellow multi-taskers, who like working on the go, and is packed with some seriously impressive features. 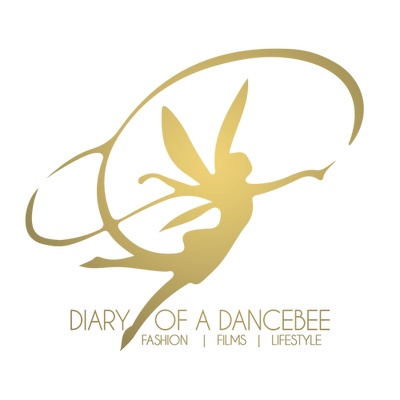 Read on to know about our favourite aspects. 7-inch display: Comfortable to use and not very huge. It fits your hand perfectly (though it is slightly bigger than my palm, there was no discomfort while typing or clicking pictures) and is not very bulky. The display makes it comfortable for your eyes to edit / proof read and even read updates on the go. 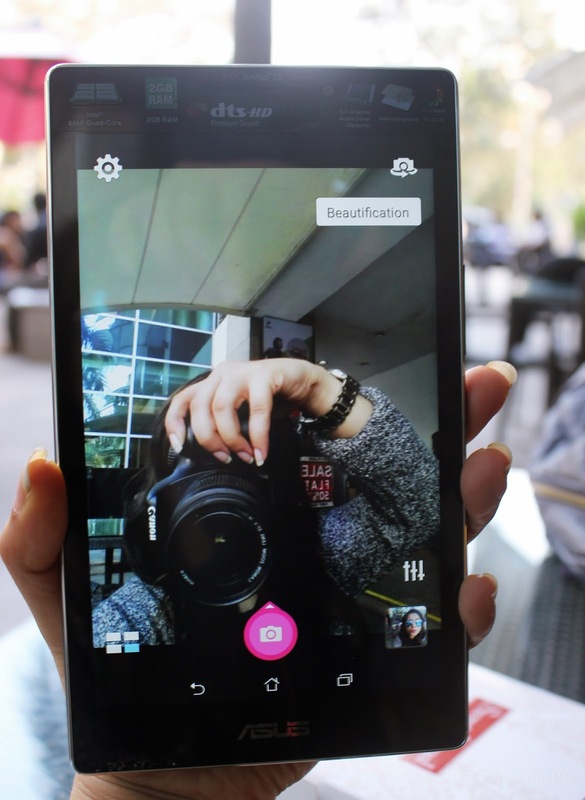 Expandable storage up to 128 GB: While the gadget comes with 16gb internal storage, it can be expanded up to 128 GB, which is perfect for those who want a good mix of songs, photos and videos on their gadget. 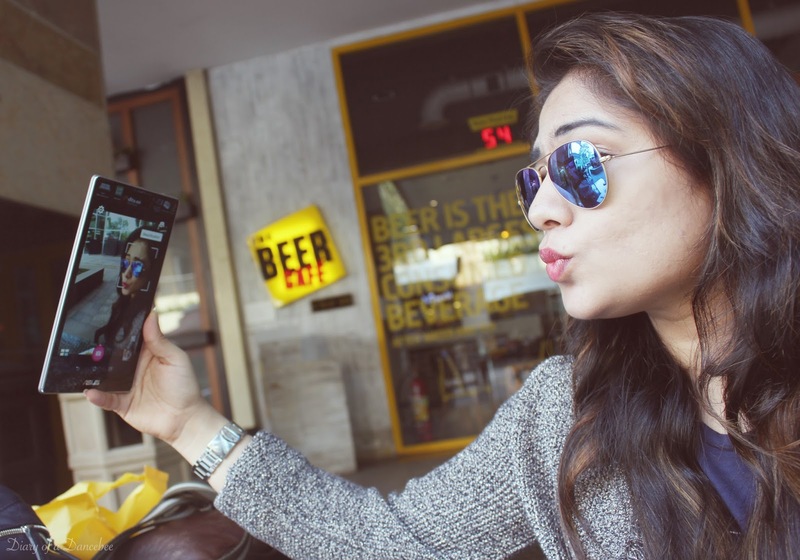 8mp camera: While the rear camera has a good 8mp camera, even the front 2mp camera is quite decent and ensures you get some amazing selfies. 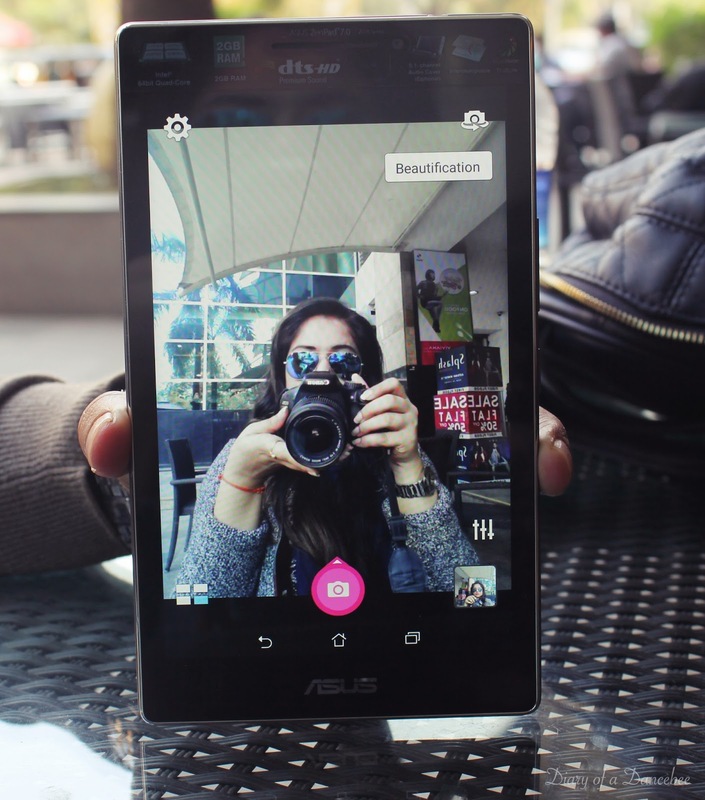 Moreover, it comes with in-built beautification options, filters and options to shoot GIF images as well. Even the video quality, which is full HD, is great. Calling Facility: Always wanted a tablet that can help you make calls? Then, look no further. ZenPad 7.0 comes with a SIM slot, making it easy to make / receive calls as well. 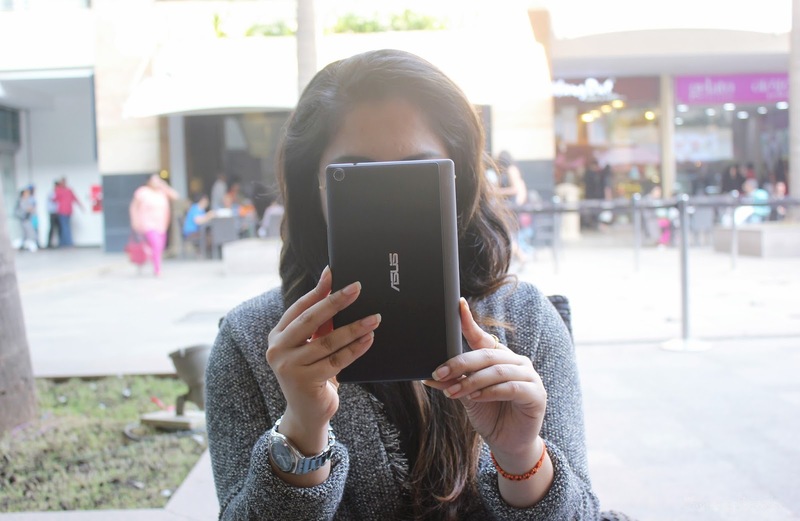 Sound: Hands the best part about this gadget, ZenPad is a must have for music lovers, thanks to a great audio output. Those who buy it with the audio cover definitely have an edge, as the cover ensures you hear your favourite tracks in crystal clear sound. Watching movies with the cover on is a lot of fun, thanks to the inclusion of 5 speakers and one subwoofer, which are placed under the sound bar area on the audio cover. You will get used to ditching your headphones more often, thanks to the incredible sound quality. We have been testing this gadget for over a fortnight, and so far, the experience has been great. 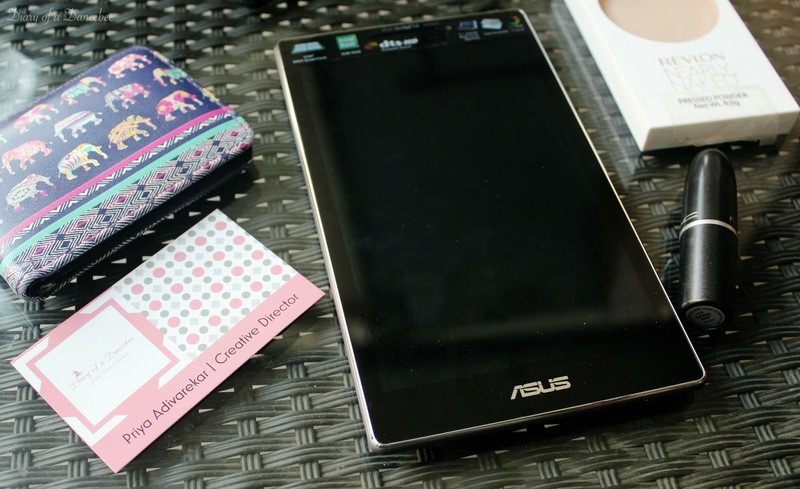 Asus 7.0 ZenPad works on ZenUI with Android 5.0.2 Lollipop. The battery life is average, with around 3450 mAh battery and an average of 6 hours screen-time (with the audio cover). On the technical / software front, we haven't experienced any difficulty or lags. 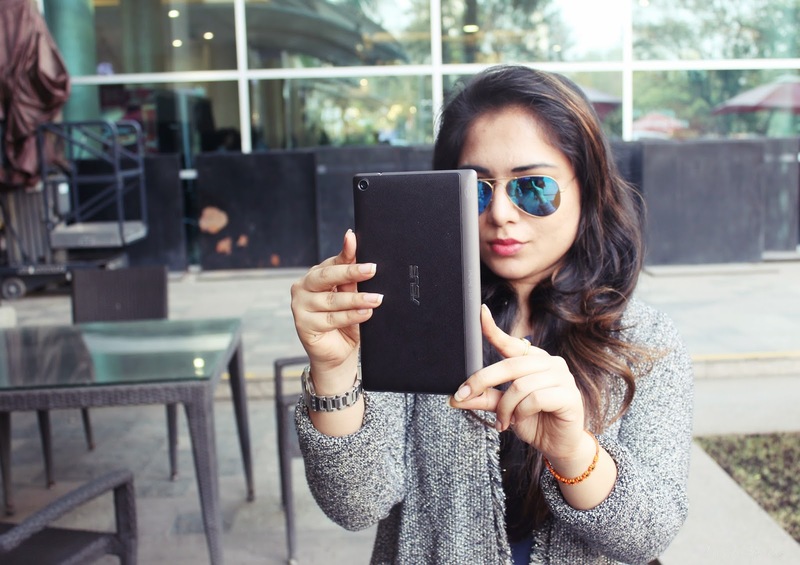 The gadget works smoothly and like we said, watching videos / films on this ZenPad is pure delight. Another plus point of buying the Audio cover is the fact that is comes with 2300 mAh battery, making it easier for you to charge your gadget while the cover is on. Being music lovers, we are loving it and how! 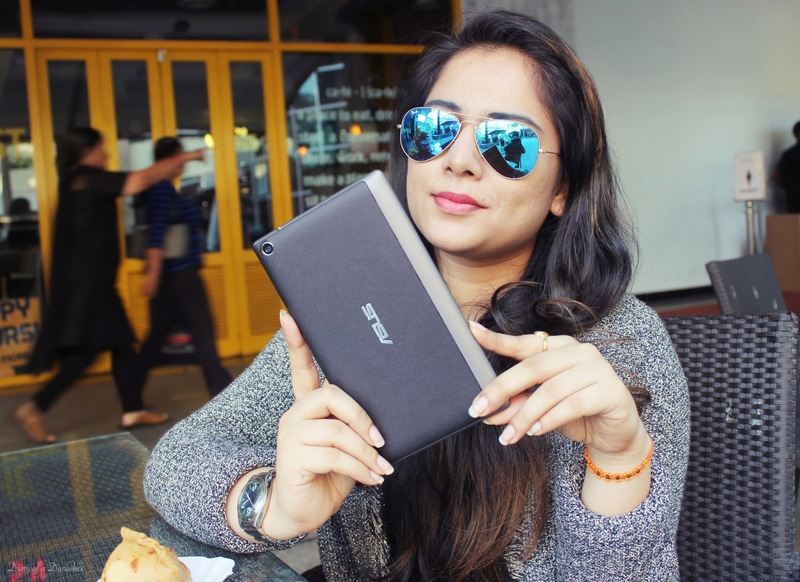 Verdict: If you are looking for a mini home theatre in your hands, that can be used to watch videos and enjoy movies while traveling (and get some work done as well), then the Asus 7.0 ZenPad is a must have! 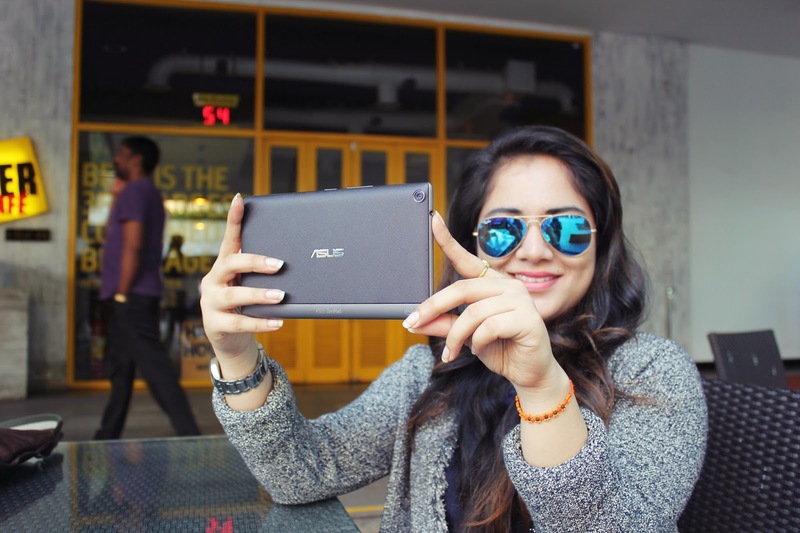 Have you tried the Asus ZenPad 7.0? Got something to say? Join the conversation on Twitter at @priyaadivarekar or leave your comment in the box below. You look splendidly gorgeous. love Asus. wish to buy this year.